What's a "First Look" and why you should do it! When I first heard about doing a “First Look” from my wedding photographer I knew it was the ideal situation for my wedding day, but I was worried I would be missing out. But I was soooo WRONG! Not only did Eddie and I share a First Look on our wedding day, I encourage all my future brides and grooms to do one as well! First Looks are amazing and SO incredibly helpful to photographers! Here are the top reasons I hear against wanting to do First Looks: 1. Family/ moms expectations 2. The Bride wants that WOW moment to be when she is coming down the aisle and 3. Way too non-traditional. I love families, buuuuutttt it’s your wedding and you do what you want lady. I also understand wanting him to be wowed as you come down the aisle. Understandable, I wanted that too! The thing is, he is still going to be “in awe” of you coming down the aisle no matter what. Eddie still cried his eyes out when I came down the aisle (seriously we even paused the ceremony for me to tell him to breath), even though we had seen each other maybe 20 minutes earlier. The moment you walk down the aisle is so incredible that it doesn’t lose that feeling if you see each other before hand. Eddie can attest that even though we saw each other, when I walked down the aisle, it was still the most memorable part of our ceremony. · Your guests will not have to wait for you to arrive at your reception for sometimes over an hour! When do portraits after the ceremony, (family, bridal party, romantic portraits and then travel to the reception) that usually takes an hour and a half (yes it takes that long), sometimes longer if the couple wants a ton of awesome portraits of just the two of them! Because this is so time consuming, it often leads to rushed portraits and can cause unnecessary stress for the Bride and Groom because they aren’t enjoying their portraits together, they are worrying about their waiting guests. · A first look allows you to have some alone time. When couples decide to see each other for the first time in private, it is an emotional moment that the two of them share and it’s so incredibly intimate. And for me it’s so awesome getting to be there and document it. This is a time when you get to love on each other, for the groom to tell his bride how beautiful she is. AND as a bonus this moment serves as a once in a lifetime photo opportunity for me. You look amazing and this is a chance for your groom to tell you, versus waiting till after the ceremony. · Couples that choose a first look end up with about 40% more portraits than those who do not opt for the First Look. PLUS the bride’s makeup is still intact (sometimes tears from the ceremony can require a makeup touchup and this can take 15 minutes). · It calms both of your nerves, but this is especially huge for the groom. Eddie and I talked about it after the fact and he was in full freak out mode until we had our first look. ALL grooms that have experienced a First Look admit that seeing their bride beforehand eases the wedding day shakes and allows them to relax and enjoy the ceremony! · Finally, a First Look is the answer to the wedding day timeline crisis! It creates ample portrait time and allows the bride and groom to celebrate freely. AND you end up with more portraits than couples who don’t opt to do a first look. Attention all late fall, winter and early spring brides…. you will most likely run out of great light for portraits after your ceremony. A First Look is a great solution for this issue!! So while it is clear that I love first looks, I never absolutely never pressure my couples into doing them. I always give them the reasons why it’s a smart choice but if they really aren’t interested, OK. It’s their wedding day! It’s my job to make them happy and to help them have a great time and a solid schedule for pictures. It’s your decision, no judgement. I’ll make your day as perfect as possible. I get that it is a BIG decision but I have never had a couple that wasn’t happy that they decided to go for it! You're newly engaged and you know you want amazing wedding photos (it's at the top of your priority list), but you may be unsure if you need to do an engagement session. Your fiancé is already nervous about being in front of the camera on your wedding day and you're afraid that adding another session just might be too much for him. Or maybe you're the one who hates to be in front of the camera. Maybe you don't know what you'll do with the images from the session once you have them. Perhaps wedding planning has taken so much of your time already you're not sure how you would fit in one more thing into your cramped schedule. 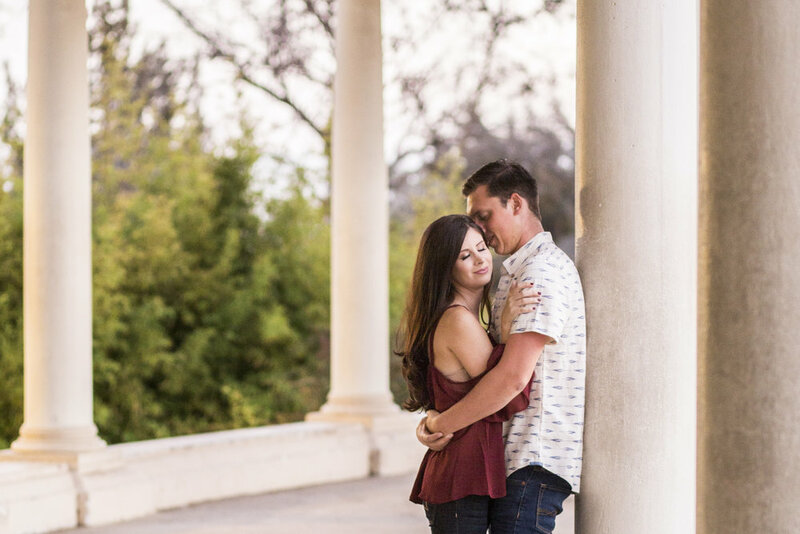 Despite all of these concerns, I still highly recommend engagement sessions to all of my couples. Here are the top reasons they are a good investment. Being in front of the camera is not natural, and it's definitely not an automatic thing to look comfortable in images. I tell all my brides and grooms that it takes about 20-30 minutes into the session before you start looking more comfortable and less forced. More than half of my couples say they're not "photogenic". I think this is probably because most peoples experience with professional photographers have been awkward high school graduation headshot, or forced family photos. The purpose and goals of an engagement session is to bring out and preserve the connection between the couple. The best way to do that is to make sure you are comfortable and confident. We also get time to get comfortable together, by really getting to know each other before your wedding day. That's why I include engagement sessions in almost all of my wedding packages. It gives me a chance to share great tips on how to be photographed and that way when your wedding day rolls around you'll actually enjoy getting your pictures taken. Wedding planning is stressful. Its like a rollercoaster from day one. You are your fiancé have to find all the right resources and do the delicate balancing act of making sure your families are involved, and sometimes even financially contributing. Not an easy thing to do, especially when bringing two families together who may only know each other loosely. In the midst of all the planning, it can be easy to loose sight of each other while choosing floral arrangements or arguing over cake flavor. 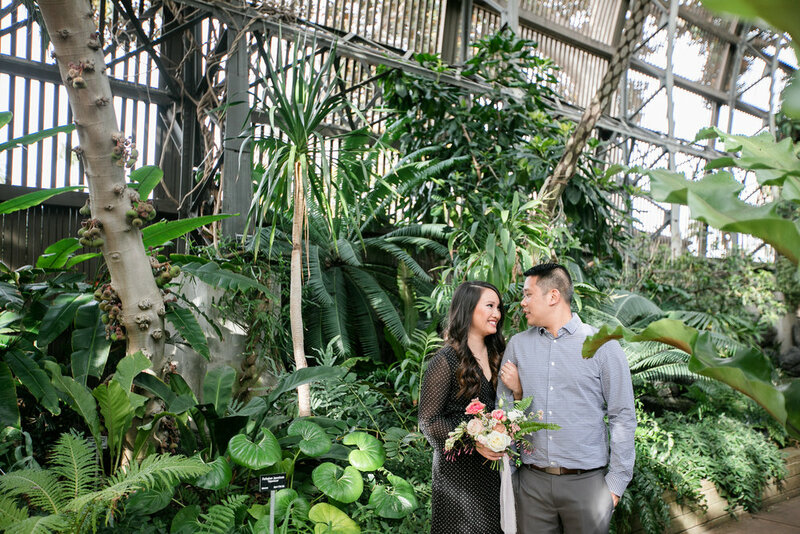 An engagement session is a great opportunity to reconnect and turn off all the wedding planning noise and just be together for an afternoon. I always do my best to try and plan a location or setting that's important to the two of you. Maybe a place you love, first met or maybe just somewhere you love spending time together. It definitely helps in creating the most natural images and it's a great memory to look back on in the future. I remember looking at pictures of my parents before they were married and thinking how young and in love they were. I think that really there are only a handful of shots that exist. Back when my parents were engaged, couples didn't do things like engagement sessions and the majority of shots of the two were shots from a party. Years from now, your children can look back your engagement images and unlike your wedding photos, get a better idea of what you were like when you were dating and excited for the future. It'll be something you will be able to share with them. As your wedding day gets closer, you'll find that you will need pictures of the two of you- things like announcements, save the dates, your wedding webpage, etc. Instead of just using random snapshots (drunk at parties, out with friends, sweaty hikes), why not use images that you can really show off? You'll be sending your Save the Date or wedding website link to all of your guests, give them something pretty to look at. It is a GREAT idea to have your hair and makeup test done on the same day as your engagement session. It'll give you a chance to see what your hair and makeup artist can do and how well your makeup will last while being outside for a few hours. If there are any issues you have a chance to make any change if you need to before your big day.